Taylor Creek XC Race is part of a FIVE RACE series known as The Breslin Cup. Our club is competing in this series. Here’s how it works…. there are five races. The first three are Sept 27, October 4 and November 1 (all in Toronto). Our club will not be going to the Oct 4 race as we like to support the Muskoka Mud Run in Bracebridge October 3. However this does not matter as each team throws out it’s worst race of the those first 3. 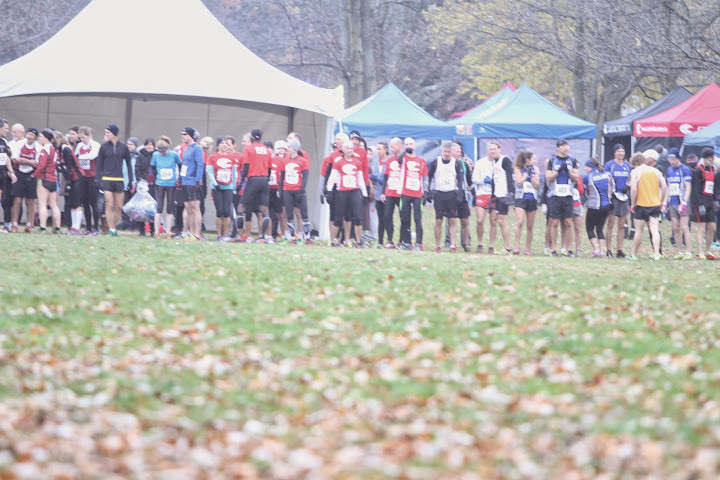 The final two races are Ontario XC Championships November 15 and Canadian XC Championships November 28. At each of these 4 races our club will attend, our top 5 racers will score points towards the Breslin Cup standings. This does not mean our five fastest times. All times are age graded. So, a 60 year old running 5K slower than a 45 year old may in fact score more points for the team. As a runner, you can come to as many or as few races as you like as long as you have a Masters Ontario membership. If you purchased a noncompetitive membership, the upgrade fee to do races is $30 and we can put you in contact with the person who will change your membership. In addition to the Breslin Cup, at each race there are team races in 10 year age categories. So we will have 30-39, 40-49, 50-59, 60-69 year old age groups for both sexes. A team consists of 3 or 4 runners, with the top 3 runners scoring. Like in golf, the low score wins. Once again, you do NOT need to be the fastest runner to be a welcome member of our team. We want to encourage as many people as possible to take a chance and discover the thrill of XC! The Huntsville Hoyas XC Season begins this week. The Hoyas start with a team meeting in room 323 at 11:30 am Thursday September 10. First practices are Thursday September 10 3:20 pm (meet in the cafeteria), Friday September 11 3:20 (our only Friday practice), and Sunday September 13 at 4pm at Conroy Track. All runners will get an email link to the team training calendar. Starting next week practices will run Monday to Thursday 3:20-5:30 and either Saturday morning or Sunday afternoon depending on the week. The team welcomes runners of ALL abilities and makes no cuts. Our goal is to create healthy, active, supportive teens who consider running a lifelong pastime. Although the team encourages runners to attend as many practices as possible, runners DO NOT have to attend every practice to be on the team. 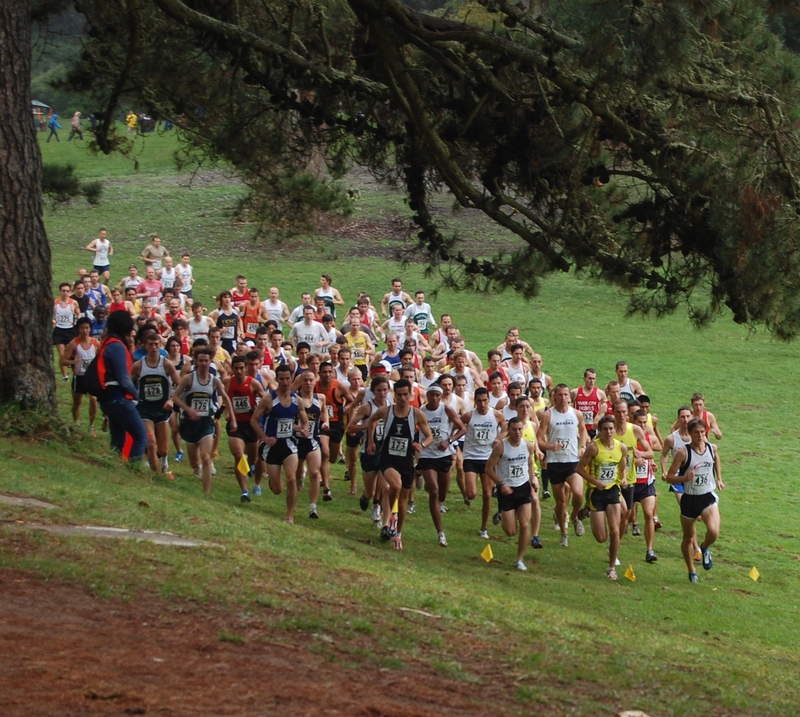 The team also hosts its own incredible race, The Hoya Hills Invitational, Tuesday September 29, 2015. This year the Ontario High School XC Championships (called OFSAA) are being held in our region. Because of this the region will be allotted double the number of qualifying entries to OFSAA. As a result we hope to qualify more runners for OFSAA and more teams. It will be exciting to race against Ontario’s best in our home region. By the time our runners reach OFSAA they will have raced the OFSAA course twice already, the first time they have had such an advantage. See you on the roads and cross country courses…..